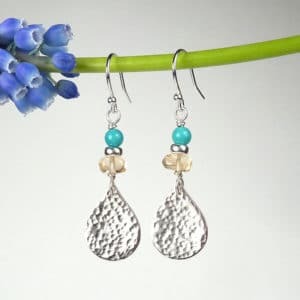 Peacock pearls are given a Summery twist with the addition of vibrant amazonite. 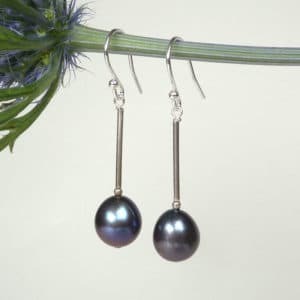 Peacock pearl drop earrings – a versatile classic. Length from top of hook: 37mm. 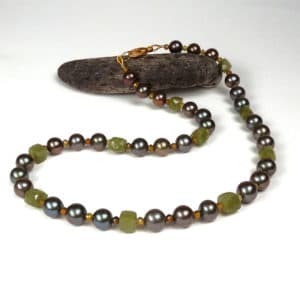 Diameter of pearls: 10mm. Fittings: sterling silver.